As we wind down 2015 this week, I’ll be posting about my top three games of the year. It’s been a great year for games, and for horror games in particular, as reflected by my list. I’m a huge horror fan, and there were some great horror entries on all of the major platforms this year. Bloodborne, Dying Light, Resident Evil: Revelations 2, The Park, Until Dawn, SOMA and Fatal Frame: Maiden of the Black Water all saw their Western releases this year, and three of those titles beat out everything else I played to make my “best of” list. As I mentioned in my recent post about Fallout 4, I prefer to play games alone, so two of my three pics are single-player affairs. The third provides a strong single and multiplayer experience, and balances both very well, though I played the bulk of it in single-player. 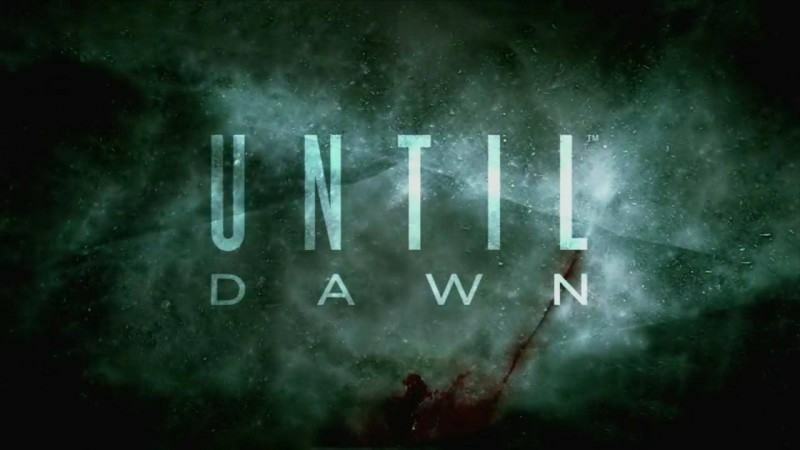 So, let’s begin my top three with a game that perfectly captured the B-horror movie experience–Until Dawn. If I had to distill the Until Dawn experience into one core concept, it’s basically that you are directing your own horror movie. Like the Telltale games, a lot of the story takes place through dialogue. The gameplay mechanics are similar to Heavy Rain, a combination of interacting with the environment and engaging in quick time events. These systems all feed into the Butterly Effect system, in which every choice you make and action you complete have a ripple effect in the game. Your actions and choices will determine who survives to see the end of the story, and there are dozens of ways the game could play out. In my story, a couple of choices I made in the final moments of the game cost the lives of three characters. But I also ended up saving a character that could easily have ended up dead. Until Dawn was a perfectly executed experience. Not only did the writers and developers nail the feel of a great slasher movie, but the cast–which included Hayden Panettiere (Heroes), Brett Dalton (Agents of SHIELD) and Rami Malek (Mr. Robot)–was absolutely terrific. I recorded a let’s play series of the entire game, the first episode of which you can watch right now. You can see the rest of them over on our YouTube page. Check back tomorrow for my #2 game of 2015!